A simple off-set multi set in the village of Chinnor, Oxfordshire. It involves looking for information at the church, followed by a short walk to the cache which is not in the church grounds. 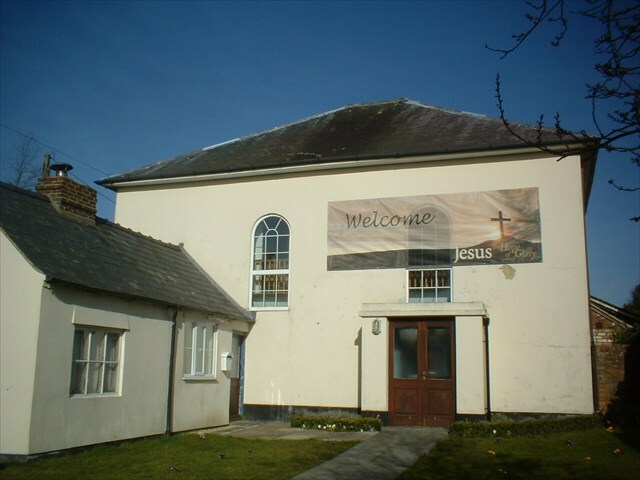 Chinnor Community Church describes itself as a relational Church, with a clear goal of providing a loving atmosphere where anyone, regardless of background, will feel safe. Their website gives an open invitation to anyone to attend services. Built in 1805, the building was previously Chinnor Congregational Church. Their message is that people would know the love of Jesus Christ. The church ministry comes from understanding that people are gifted for His service. There is a heart for mission that is a challenge to reach out to the local community and world. The church is committed to growing effective followers of Jesus Christ, and find hope and healing. Sunday services are from 10.45 to 12.15, but the church is in use on Tuesday and Thursday mornings also, as well as most evenings. This cache is one of 3 Church Micros in Chinnor. The others, also set by South Oxon Stone are CM 7356…Chinnor – Methodist, and CM 4113…Chinnor - St Andrew. The published co-ordinates take you to the church gate. There is street parking nearby. The container is a 35ml pot. Please bring your own pencil or pen. If anybody would like to expand to this series please do. We would just ask that you let Sadexploration know first at churchmicro@gmail.com so he can keep track of the church numbers and names to avoid duplication. There is also a Church Micro Stats page found via the Bookmark list. CONGRATULATIONS to liberal giraffe for being the First to Find!